Gertrude Stein and Alice Babette Toklas met on September 8, 1907, in Paris, and remained together from that day until Gertrude's death in 1946. They became a legendary couple, photographed by Stieglitz, Man Ray & Cecil Beaton, painted by Picasso, and written about in the works of Hemingway, Paul Bowles and Sylvia Beach. 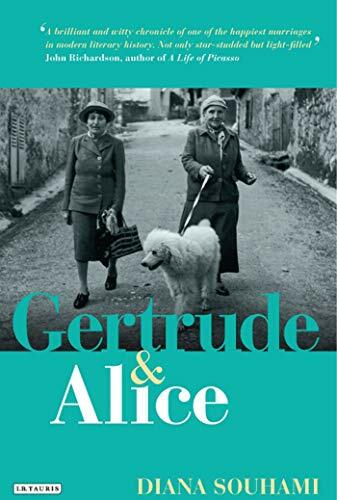 Gertrude and Alice is the highly acclaimed story of their remarkable life together. From letters, memoirs and their published writings and with rich illustrations, Whitbread Award-winner Diana Souhami brings their characters, beliefs,and achievements vividly to life: "so emphatically and uncompromisingly themselves, that the world could do nothing less than accept them as they were." Diana Souhami is the author of Selkirk's Island, for which she won the Whitbread Biography Award, The Trials of Radclyffe Hall, for which she won the Lambda Literary Award, Coconut Chaos, Mrs Keppel and Her Daughter, Greta and Cecil, and Gluck: Her Biography. She lives in London. Editore: I.B.Tauris & Co. Ltd.